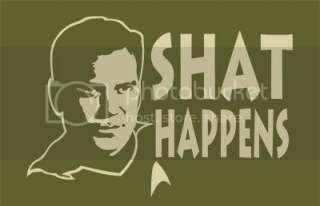 We've all lived through the horrifying experiences of a Birdemic and a Sharknado seperately, but shat would happen if they both happened AT THE SAME TIME?! Which one would overcome the other? The Birdemic or the Sharknado? You decide! Well, you can't solve both at the same time unless you have an electric airplane that fires ozone-regenerating bombs into the Sharknado. but shat would happen if they both happened AT THE SAME TIME?! Featuring the triumphant return of William Shatner to the silver screen! This would be potentially worse than a Joe Don Baker film festival.... but only slightly. Well, I've never seen Sharknado, but I'm pretty sure that it's the standard by which all other cinema is judged... and found wanting. Did you know the easiest way to disperse a tornado is to rig a crappy makeshift bomb out of explosives and a couple of fire extinguishers, and then detonate said bomb inside a tornado? Because Sharknado taught me that. Geeze, way to spoil the movie DQ. You'll be telling me that rosebuds turn into roses next. King Kong gets killed at the end, Affy. Now, if you told me *what* killed King Kong... or perhaps *who*... then that'd be the mega spoiler that makes me swear off cinema forever. Well, 'twas SOMETHING which killed the beast, you'd better believe it.